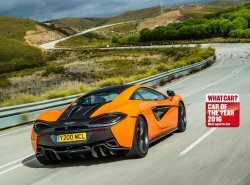 The McLaren 570S has won an award at the What Car? Car of the Year 2016. “With a limitless budget all manner of supercars are within your grasp. 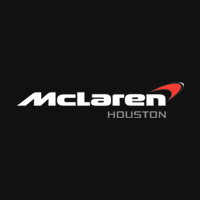 “You could buy an Audi R8, a Lamborghini Huracán or one of several Ferraris, but if you have to choose only one we reckon it should be the McLaren 570S. “Why? Well, let’s start with how staggeringly good to drive it is, which, after all, is the main point of a sports cars. “Yes, it’ll hit 60mph from a standstill in a scarcely fathomable 3.1sec but it’s also as delicate and adjustable through corners as a Lotus Elise, with steering that involves you in every piece of the action.